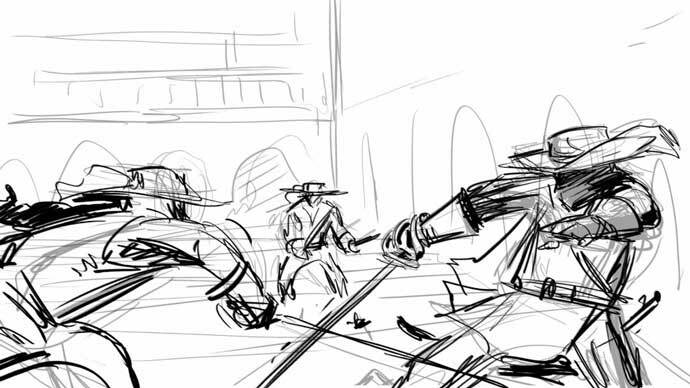 Animation can be described as one of the hardest skills to master. It can take an animator years and years of practice and devotion to get where they want to be. That said, animation is always moving and adapting. It is not something one can actually master, but rather a process of developing skills and continuous learning. We have put together a list of great and unique animation tips that you may have overlooked or never really come across. What makes these tips more valuable is that they have originated from some of the industry’s finest and experienced animators. Planning goes a long way in video animation. Disney Animator Aaron Blaise suggests that there needs to be an element of unplanned, spontaneous drawing. That doesn’t mean, however, that you dive into your project without having a clear plan in mind. 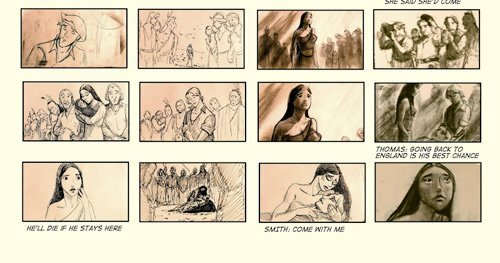 Storyboards are commonly used amongst most video animators and acts as a visual aid as well as a timeline for your animation. I draw and redraw over and over again until it looks spontaneous. Aaron is suggesting that once you have a general idea of your animation outline, keep drawing until it’s right. Keep sketching your animations until they become part of you. Only then will you see your drawing become free flowing and your animations burst to life. For more tips from Aaron Blaise, check out his website here. Paul Clements is a motion designer and animator for various leading brands around the world. 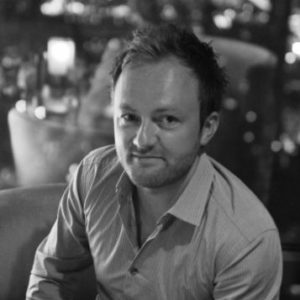 Naturally, Paul has worked in various locations and amongst different office cultures. Although Paul’s tip can be taken as a form of saying “just don’t work in an office”, we believe it goes much further into the motivation of an animator. Animators want to be inspired. They want to be in an environment that encourages them to work and stimulates creativity. Understandably, animators working in a dull office all day, with people that constantly interrupt them can cause productivity to falter. The key is to find a setting that you feel comfortable with. If you work in an office, find a desk that allows you to free your mind, away from any distractions, but close enough to bounce ideas off. For more tips from Paul Clements, check out his website here. 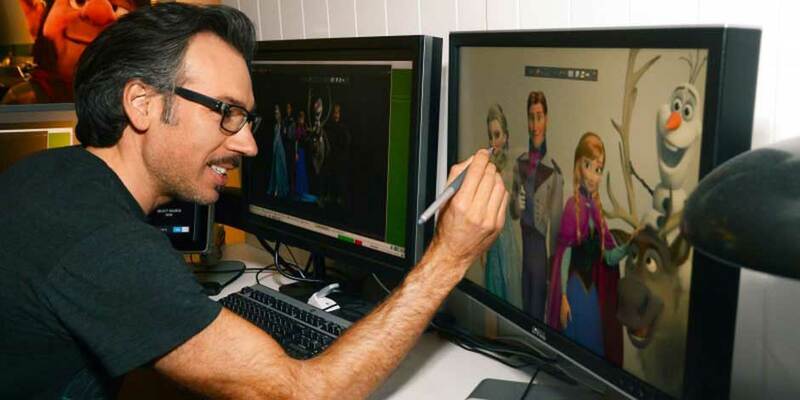 Lino DiSalvo is a veteran animator at Walt Disney Animation Studios and was the head of animation for the popular film Frozen. Lino says feedback is a vital piece of any animation. You may have a broad array of animation skills and a great attention to detail, but without taking on board feedback from the right people, your animation may never get the attention it deserves. While animators are encouraged to get creative and push their imaginative boundaries, it’s vital you follow any piece of advice or comments you may get. For more tips from Lino DiSalvo, check out his twitter feed here. 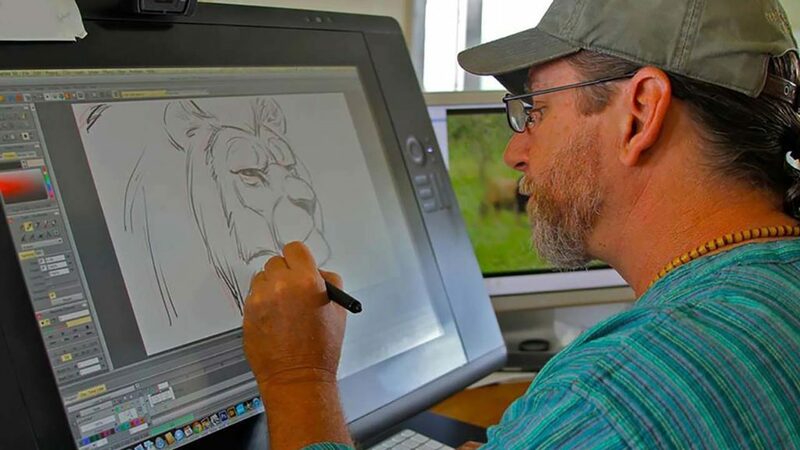 Scott Wright is an experienced video animator who has worked for DreamWorks animation for over 15 years. 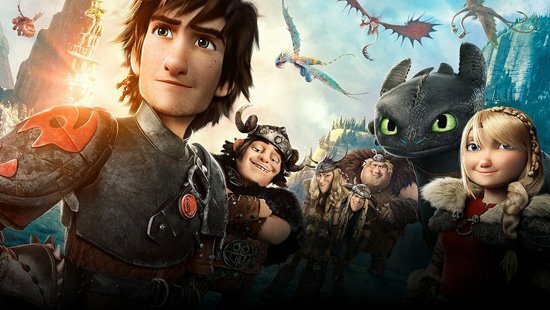 During Scott’s time at DreamWorks, he was part of the team that worked on Madagascar, Over the Hedge, and more recently How to Train Your Dragon. Scott Wright says that when creating an animation, you MUST immediately grab your audience’s attention. Your drawing/painting/animation must imidiatly grab the audiences attention. One of the biggest challenges any animator or artist will face is immediately attracting and attaining the attention of their audience. Did you know that the first seconds of your video are the most important? Although not quite as relevant for full-length movies, in short videos, the first couple of seconds will either win over your viewers or lose them. For more tips from Scott Wright, check out his website here. Feedback comes in all shapes and sizes. Dana argues that feedback comes from various places of knowledge and experience. Don’t feel offended by any of it. Sometimes a person’s individual preference or sense of style can influence the types of comments they give you. Furthermore, don’t be disheartened if you don’t receive any positive feedback. People may think of the constructive criticism as an opportunity to discuss things you should change, even if they had positive reactions to your work. You can read Dana’s full article on how to overcome your insecurities here. Dana Boadway-Masson is a senior mentor on the popular website AnimationMentor.com. 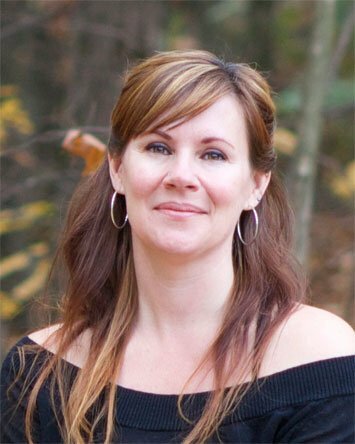 Dana has worked on animation projects across all scopes including games, commercials and DVD movies. For more tips from Dana, check out her mentor’s page here. Aaron has worked with Disney for over 21 years and has worked on some of the greatest animation movies ever made. Aaron has worked on projects including Beauty and the Beast, Aladdin, The Lion King, Pocahontas, and Mulan. Speaking about his experience when reviewing younger animators showreels, one of the biggest issues he noticed is the over animation of certain scenes. Animation doesn’t necessarily mean moving something around; it means bringing something to life. Young animators think that the more they move assets around, the more animated their scene will look. Next time you are animating a scene, take a step back and think “what needs to go into this, to make it a breathable character?” Rather than how am I going to move this character from A to B in the scene. Get into your character’s head and try to act it out. You will find that you don’t actually need too much movement. Most animators have experienced a point in time when their pursuit of perfection leads to over complication. Andrew Gordon and Robb Denovan are two directing animators at Pixar Animation Studios. 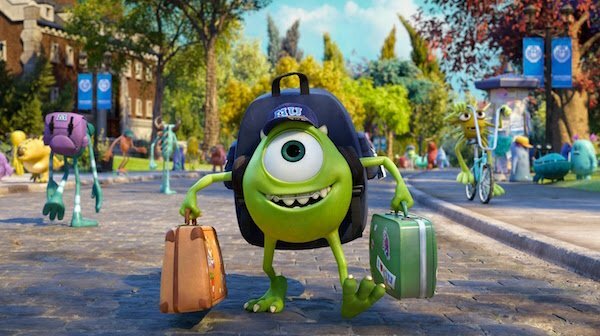 Andrew joined Pixar in 1997, where he has animated on films such as A Bug’s Life, Toy Story 2 and Finding Nemo. 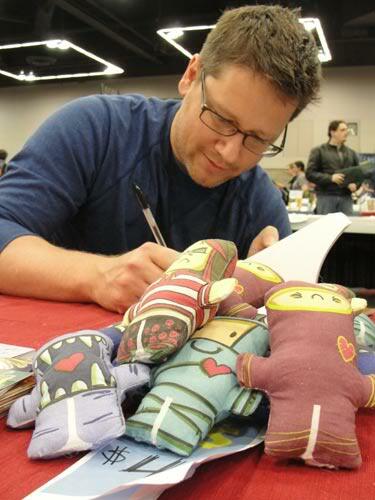 Robb Denovan is a character animator at Pixar and has worked on Brave and Monsters University. Both Pixar animators argue that one of the most common errors amongst animators is over complex scenes. When they feel that a scene is becoming too confusing or complicated, they save their work, and then proceed to start again from scratch. When working on your animation, try use as fewer controls so that you can move from pose to pose as efficiently as possible. Keep things simple! If you want to read Andrew’s and Robb’s full tips, you can do so by clicking here. 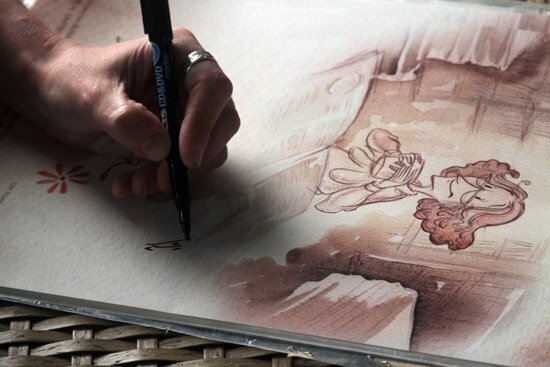 When working at Disney, Francis approached his boss seeking feedback on his storyboard. At the time he was working on Pocahontas, which was to be the first Disney movie that contradicts the “Happy ever after” ending. Francis was told his storyboard was emotionally cool in other words unemotional. Although upset with the feedback, Francis took it as a learning opportunity and made it his mission to give the audience an emotionally satisfying experience. Francis told his boss, “I won’t be satisfied until I make you cry”. To check out more storyboard and drawing tips from Francis, visit his website here. Greg Whittaker is a senior animator at DreamWorks Animation and has over 20 years of experience in the animation industry. Greg has worked on some major animation films including Kung Fu Panda 3, How to Train Your Dragon, Home and Madagascar 2. Greg says that when you are animating your character, they don’t have to be in motion all the time. In fact, it’s the quiet moments that allows you to give the impression that your character is thinking, and allows your audience to connect with your character. 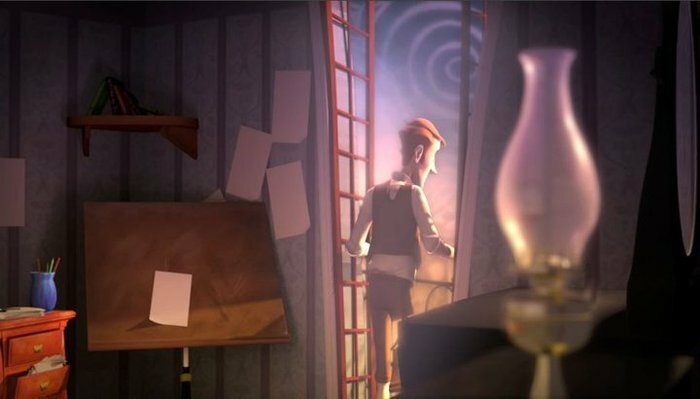 You can find out more about Greg Whittaker and his animation tips here. Emma Coats is a storyboard artist who has worked at some of the biggest animation studios including Pixar Animation Studios, Paramount Pictures, and DreamWorks Animation. During her time at Pixar Animation Studios, Emma worked as a story artist on various projects, one of which was Monsters University. Emma also worked at DreamWorks Animation Studios, where she worked as a storyboard artist on How to Train Your Dragon. When creating your story, Emma insists that you have to come up with your ending before you figure out your middle. Endings are arguably one of the hardest parts of any story, so working on yours early will be beneficial. To stay updated with more of Emma Coats tips, or to see her work, you can follow her on Twitter here. 11. Don’t try wedge too much information into a shot. Simplify. Dana Boadway-Masson, a senior mentor at AnimationMentor.com, states that one of the most common things she sees is animators trying to wedge too much information in one shot. Dana says that in almost every situation, it ends up affecting the realism of the performance and can end up confusing the scene. “You don’t want the shot to feel forced or fake.” Which is exactly what will happen if there are too many performance elements or pose changes, Dana argues. The key is to Simplify. Check out more of Dana’s top acting performance tips for animators here. Rosana Urbes is an illustrator, character animator, storyboard artist and owner at R&R Animation. During her time as a freelance artist and assistant animator, Rosa helped work on featured films such as Mulan, Lilo & Stich and The Emperor’s New Groove. More recently Rosana directed the award winning short movie Guida. Rosana says that before anyone jumps into animation, they need to understand if they want to become an animator. When Rosana was younger, she wanted to become a pianist. She said “ I wanted to be a pianist, but when I started studying, I realized I didn’t want to learn the names of the notes or divide the music into countable times. Today I am a piano fan, but I’m not a pianist”. Admiring animation is very different to becoming an animator. 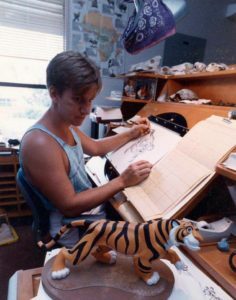 In animation, there are countless hours and days of continuous production and sketching to form ideas that might still be in your imagination. You have to be motivated to succeed and willing to put in the work to become an animator. You can find out more about Rosana through her website here. Rosana has a vast library of illustrations, books, animations, workshops and personal blogs to keep every aspiring animator gripped. Are you new to the work of animation? There’s no better time to journey into the world of animation than today. With Moovy, you can use over 1000 pre-animated assets or simply import your own custom assets to get started on your own animated movie. Moovly is cloud-based, so you won’t need to download any sizeable software. Oh did we mention that Moovly is free too?